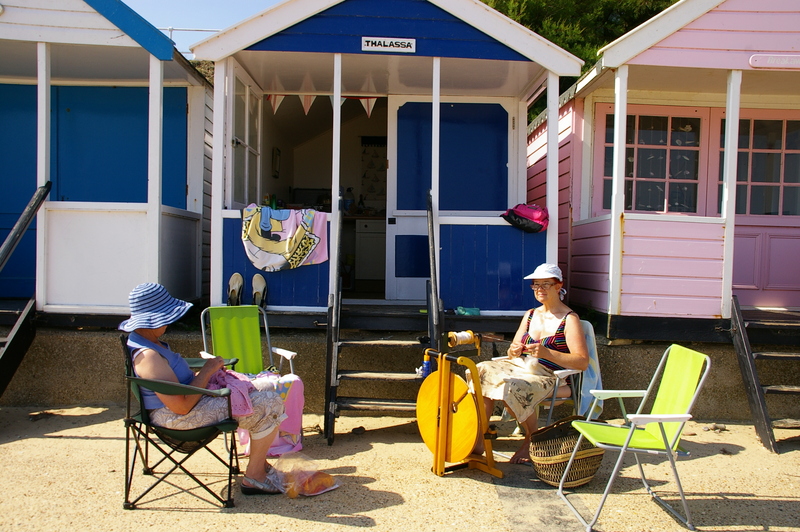 Spinning outside is always fun and in your cosi, by the sea, even better. This is a Louet wheel, recently re-launched by Louet . It folds up, making it very portable and has a built in lazy kate.